Throughout history, Jesus—through the people of God—has provided safe haven to those vulnerable under the laws and customs of the time. In the years before the American Civil War, churches provided safety for enslaved people seeking freedom. In the 1980s, churches provided safety for Central Americans fleeing civil war. Today churches are providing sanctuary to members of our community with final deportation orders. 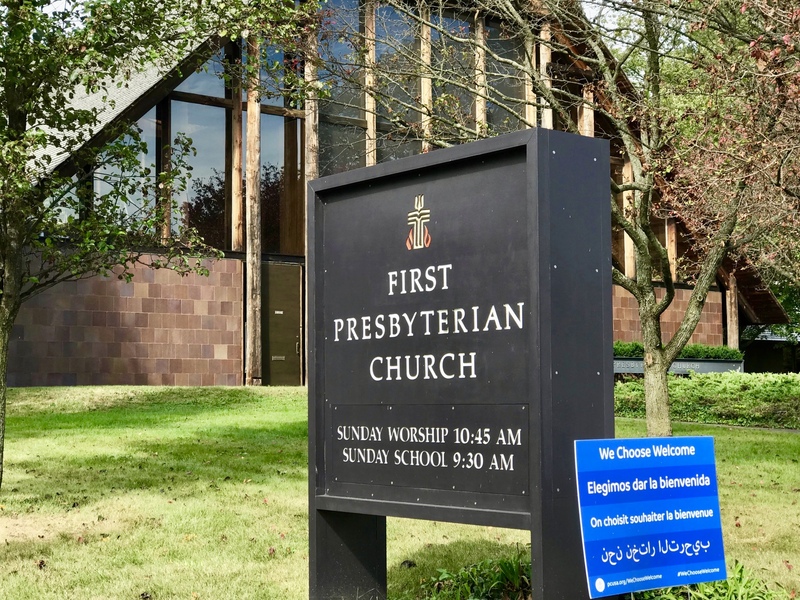 First Presbyterian Church of New Haven has joined this historical witness and heeded God’s call to love the immigrants in our midst, becoming a Sanctuary Church. If the time arises, our church will open its doors and offer sanctuary to an individual or family whom U.S. Immigration & Customs Enforcement (ICE) seeks to deport while their legal cases remain open. We are partnering with local advocates to deepen our relationships with members of our community under threat of deportation. But being a Sanctuary Church doesn’t just mean opening our doors to provide refuge to a neighbor threatened by deportation. First and foremost, it means that we are called to work as hard as we can to ensure no one needs to take sanctuary with us. Our work as a Sanctuary Church is to labor for justice alongside families working through the court system and navigating ICE processes. Families need our support ensuring they remain together and in their own homes. Recently, our church accompanied a community member named Salma and her family as they fought back against a deportation order. Salma, her husband, and her son labored tirelessly and partnered with countless others to raise awareness and fight the order of deportation. Praise be to God, on the afternoon before her deportation order took effect, Salma was granted a stay. Read more about her experience here. Five days after receiving a stay, Salma’s remarkable, talented, loving, and kind son Samir began his freshman year of college. She was able to pack him up in the car and take him to campus – like countless other parents and guardians have done with their own children. She was able to be present with her son and her husband for this life milestone, experiencing the joy and pride in having raised him and tasting the bittersweet emotion of sending her beloved child off into the world. We rejoice that Salma is able to remain with her family during this pivotal age and time in Samir’s life and did not have to decide whether to return to her country of origin for the first time in decades, or seek sanctuary. Church, Mark 4 reminds us that the battering winds and the swamping seas of the 24-hour news cycle need not overwhelm us and we need not fear. As disciples of Jesus, we need not lose hearts, we need not lose faith. We are oriented towards the shores of justice and peace, and we are not alone. We are in the boat with Jesus. Let us be bold in our actions and confident that the swelling seas and the raging winds shall not prevail. Rev. 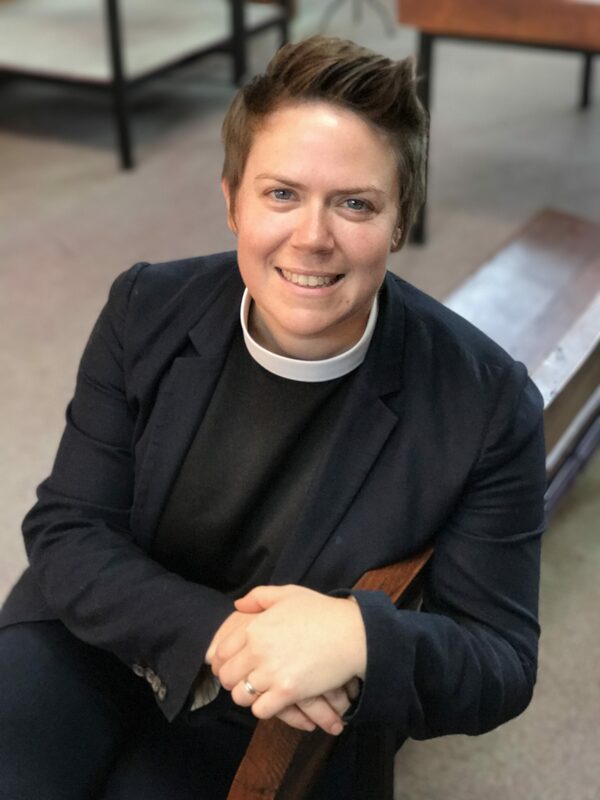 Jocelyn (J.C.) Cadwallader is the pastor and head of staff at First Presbyterian Church, New Haven, CT and has been serving in this capacity since September of 2017. She came to New Haven after four years in ministry in the Washington, DC area where she served two different congregations as interim pastor in the National Capital Presbytery. Prior to her time in DC, J.C. lived in Chicago and served in both specialized and parish ministry (McCormick Theological Seminary and Fourth Presbyterian Church, respectively). She is an alumna of Appalachian State University (2002) and McCormick Theological Seminary (2008).